Spin to Win provides a fun way for children to recognise the place value of each digit in a 3, 4 and 5 digit number. 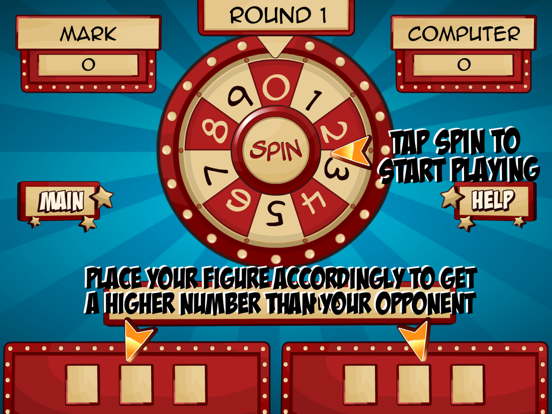 Spin the number wheel, when the wheel stops select the position you wish to place the number in. 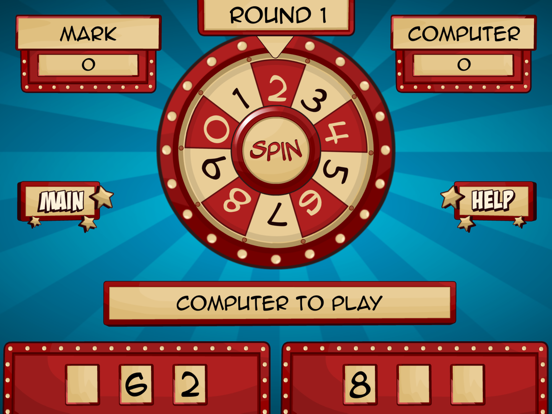 The player with the largest number when all the boxes are filled wins. 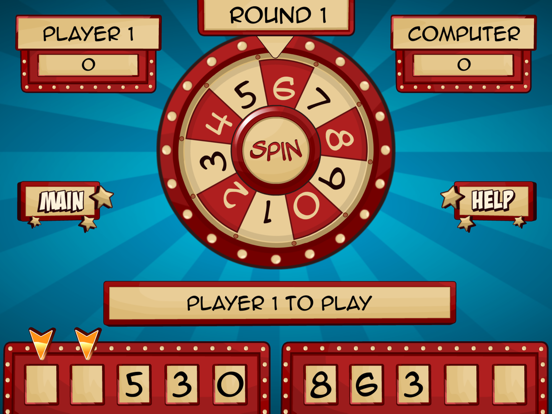 The winning player scores the difference between the two numbers. 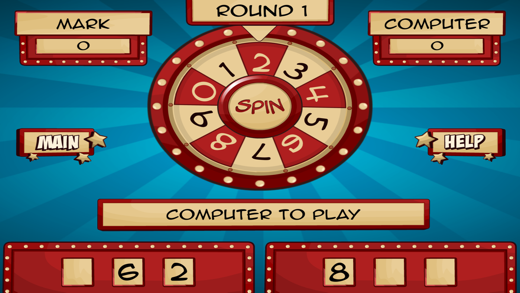 Play against the computer with two levels of difficulty, or choose to play against another play. 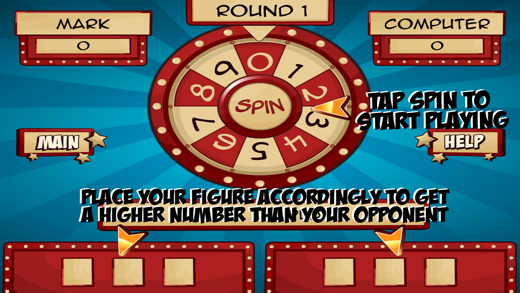 Choose to play with either, 3, 4 or 5 figure numbers. 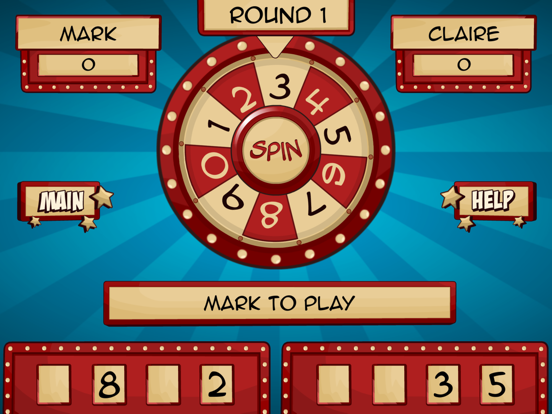 Play up to 10 rounds.